Circa 1850. 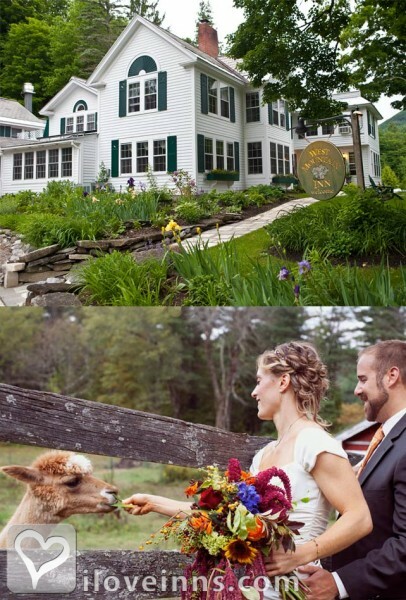 Llamas graze the hillside of this sprawling New England farmhouse situated on 150 acres of meadows and woodland. The inn overlooks the Battenkill River. 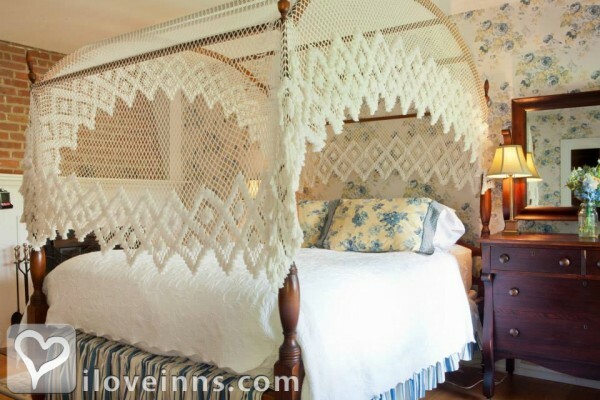 Each room boasts amenities such as a lace canopied bed, a balcony or a fireplace. 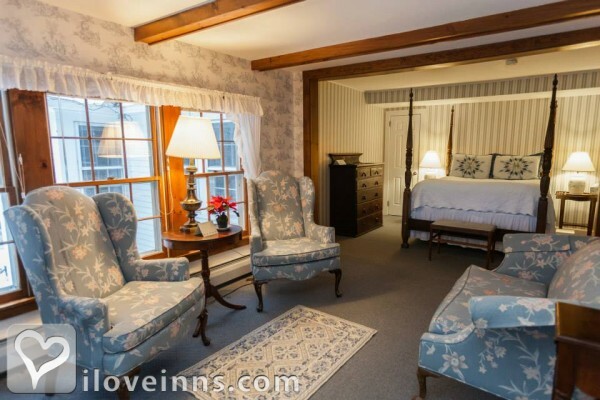 The Rockwell Kent Suite graced with a cathedral ceiling, features a fireplace and king-size bed. Back porches and decks are filled with Adirondack lawn chairs.Publicity and Awards: Family Circle, Schenectady Gazette, New York Post, Daily News, Vermont Life, New York Times, Yankee, National Geographic, Vermont Magazine, Boston Globe, Glamour, Ski Magazine, Dove Magazine, Philadelphia Enquirer.Location: Country and Mountains. Payment types accepted include American Express, Master Card, Discover, Visa, Personal Checks and Travelers Checks. Rooms: This property has 18 total guest accommodations, 9 with private bath, 10 with fireplaces, 9 suites and 2 conference rooms. Types of meals: Early Coffee/Tea, Full Gourmet Breakfast, Brunch, Picnic Lunches, Dinner, Gourmet Dinner, Catering Service and Restaurant on Premises. Amenities In Room: Air Conditioning, Modem Hook-Up, Reading Lamps, Ceiling Fans, Desk, Wireless Internet Access and fireplace. Amenities On Site: Library, Child Care, Parlor Games, Computers, Mac, PC, Copy Machine, Phone, Fax, Fireplace, Swimming, Television, VCR and hiking trails. Transportation Services: Airport Pickup, Train Station Pickup and Bus Station Pickup. Other Activities: Antiquing, Art Galleries, Bicycling, Canoeing/Kayaking, Fishing, Golf, Hiking, Horseback Riding, Live Theater, Museums, Parks, Shopping (Local Crafts), Skiing Cross Country, Skiing Downhill and Tennis.